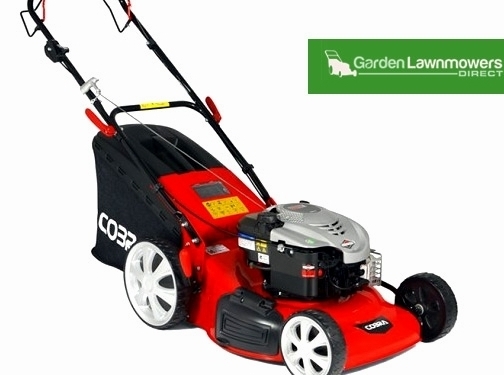 Garden Lawnmowers Direct is the online business for Fraser C. Robb. We are a family business started in 1975. We are approved dealership for all the machinery we sell Hayter, Lawnnflite, Mountfield, Stiga, Honda, plus many, many more. All products we sell come with the manufacturers warranty. The warranty length of time will depending on use of the equipment either Domestic or Commercial use. With 40 years of experience we have the knowledge to understand products to suit every type of garden, large or small. Whether you wish to have a perfectly manicured lawn with strips of your lawn or looking for the quickest easiest way to keep your garden looking well with have all types of garden equipment to suit your needs. We have a fully equipped workshop with experienced engineers who are able to carry our service, repair work on all types of equipment. We are able to carry out all manufacturers warranty. UK (Drymen) based business - established in 1975 - providing a range of gardencare products including lawnmowers. Website includes e-commerce facilities, refund policy, associations, blog, full contact details including company registration number. Company website has been online since 2013 according to web.archive.org.